The tools you use in the beauty application process are just as important as your beauty products. Without high-quality, licensed esthetician products, you may not be able to seamlessly apply wax, provide a deep-cleansing facial or deliver the exceptional customer service your salon strives to provide. Browse through our wide selection of professional skin care tools for beauticians to find all the tools you need to truly pamper your clients. Find mixing bowls that are ideal for facials and wax applications, dry body brushes for gentle exfoliation, eyebrow tweezers, hypodermic needles and more. 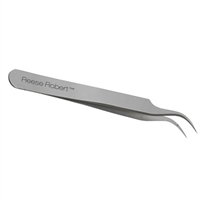 All of our products are top-of-the-line professional tools for licensed aestheticians that are designed with the needs of your personnel in mind. At Terry Binns Catalog, we carry a large selection of esthetician supplies and equipment to make the job of your estheticians a little easier and help you deliver highly rated customer service. Great for exfoliating and gentle cleansing! Translucent lid allows staff to identify fill levels quickly, thus helping to save time. Med-Esthetic® Cloud 9 apparel features an absolutely sumptuous and pampering fabric so delightfully cozy, you lose yourself in its pure dreamy softness. Use to cleanse and gently exfoliate the skin before facial services. One pound package of unscented parafin wax, used for facials, hand treatments, and foot treatments. Spray bottle which delivers a fine, continuous mist for various salon uses. 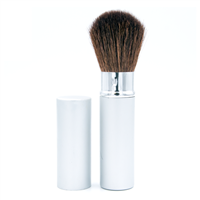 Soft fan brush which can be used for light-weight facial applications. Compressed elastic headband bouffant cap. Ultra-Bowls are ideal for facial masks, body treatments, waxes, hair color, artificial nail removal. Ultra-Bowls are ideal for facial masks, body treatments, waxes, hair color, artificial nail removal. Hypodermic needles with snap off top. 100ct Box. 26Gx1/2" Nipro Brand. Dr. Belter's Vital C Collagen Mask is the same collagen fiber mask our customers love, but infused with Vitamin C! 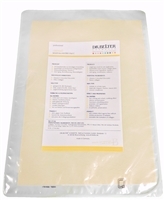 Featuring a soft absorbent material on one side with a plastic backing on the other. 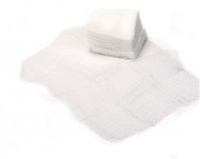 Pack of 12 cellulose sponges to be used for skin cleansing during salon processes. Ultra-Bowls are ideal for facial masks, body treatments, waxes, hair color, artificial nail removal. Dr. Belter's specialty collagen fiber mask with their active agent "Dermo-Relax." A special treatment to diminish mimic wrinkles, suitable for all skin types.